Network infrastructure refers to the grouping of physical hardware and logical components which are needed to provide a number of features for the network, such as connectivity, routing and switching capabilities, network security, and access control. The physical infrastructure of the network refers to the physical design of the network together with the hardware components. The logical infrastructure of the network consists of all the software components required to enable connectivity between devices, and to provide network security. The network&apos;s logical infrastructure consists of software products and networking protocols and services. While Windows Server 2003 provides a number of features and tools when you install it on a computer, you have to implement additional features and functionality on a server to provide the services and capabilities required by the organization and its users. Environmental threats pertain to both environmental disasters and disasters due to human intervention. Examples of environmental threats are fires, earthquakes, storms, faulty wiring, and so forth. Accidental threats relate to threats which are caused without malicious intent. Accidental risks occur when an employee accidentally deletes important files, or modifies data that should not have been changed. Deliberate threats relate to threats which are caused with malicious intent as the primary objective. Examples of deliberate threats are viruses, Trojan horses, and all other network attacks caused by hackers and intruders. Determining and designing the security infrastructure: The design phase of the security life cycle includes elements such as identifying the resources of the organization that needs to be secured, and then designing the security infrastructure to protect these resources. The security design team should be accountable for creating and designing security policies for the organization. Deploying and implementing security features and security policies: The security design team should also be responsible for implementing security features and security policies. Continually managing the security solution: All security software should be upgraded as necessary, and audit logs should be regularly examined. Determine the security requirements of the organization. Plan network security which should be implemented. Establish and create secure boundaries. 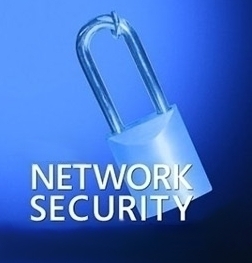 Implement security technologies for the network. Implement a network monitoring strategy. All servers should be secured in a locked server room. Only those individuals that need access should be permitted to access the server room using a key or security code. You can also implement a mechanism that monitors who enters and leaves the server room. You should restrict access to the floppy drive as well. You should change the operating system selection timeout interval to 0 in order for Windows to boot automatically. When you are setting up Windows, disconnect the server from the Internet. Install Windows operating systems to a NTFS partition. Ensure that you use a strong local administrator password during setup. Using the NTFS file system and its security features. Using the Encrypting File System (EFS). Enforcing the use of strong passwords. Securing confidential network service data as it moves over the network. Securing confidential application data as it moves over the network. Securing confidential user data as it moves over the network. Each Windows server operating system provides different features, and different security configurations which can be enabled to enhance network security and server security. Before deciding on the operating system to utilize, you have to know which security features are required for your network design, as determined by the organization&apos;s requirements. Most organizations use a security design committee or team to determine the security needs of the organization and to deploy security policies which can meet these requirements. The mission critical resources of the organization. The security weaknesses or vulnerabilities of the organization. The threats to which the mission critical resources of the organization is exposed. The resources which are mainly at risk. The loss to the organization should particular resources of the organization be compromised. The level of security needed to secure the organization&apos;s resources. The security features and security policies which can be used to secure the resources of the organization. The security features and security policies which are ideal to secure particular resources. The impact of implementing security features and security policies on employees, users and administrators. The requirements for deploying identified security solutions. One of the trickiest challenges of designing network infrastructure security is to establish a balance between security and usability. The network has to be secure so that valuable network resources can be protected, but it also has to allow the sufficient extent of usability. Networks that are too secure, or that have an exceptional high level of security can end up having low levels of usability. This typically leads to users not being able to access network resources and services. On the other hand, a network that has an exceptionally low level of network security has a somewhat higher level of vulnerability to network attacks and data corruption. Assessing whether the physical building is secured. Assessing whether the network location is secured. Determining whether access to the physical building is access controlled. Determine the impact of data being compromised. Determine which data is valuable and mission critical data: Valuable and mission critical data would typically include usernames and passwords, confidential customer information, company financial and legal information, and so forth. As mentioned previously, one of the challenges you face when designing network infrastructure security is to find a balance between security and usability. You also need to find a balance between securing valuable or mission critical data and performance of the network. For each traffic class that should be secured, an additional layer of processing is added to the actual processing of IP packets. This makes the process of identifying valuable and mission critical data a bit more complicated. You need to find an acceptable balance between applying too much security and applying too little security. No confidential or valuable data is exchanged. There are a number of computers and servers that store mission critical, sensitive data. These servers need to be secured. Windows Server 2003 utilizes security policies to secure valuable data. The Client (Respond Only) and Server (Request Security) policies can be utilized to secure data. There a number of computers and servers that store highly sensitive data. These servers need to be highly secured. All communication has to be secured. The Windows Server 2003 Secure Server (Require Security) policy can be used to provide the highest level of security to secure data. Create customized IPSec policies that include customized IPSec rules and filters. You can apply standard permissions or special permissions to Active Directory objects. Access control and authentication are extremely important components in Active Directory security. Domain and forest functional levels provides the means by which you can enable additional domain-wide and forest-wide Active Directory features, remove outdated backward compatibility within your environment, and improve Active Directory security. An organizational unit (OU) is a container that is used to organize Active Directory objects into logical administrative groups. An OU enables you to apply security policies, deploy applications, delegate administrative control for Active Directory objects, and to run scripts. A good security management strategy would be to group computers that have similar roles into Active Directory OUs. You can then apply IPSec policies and security templates to all the computers located within the OU. Implement a secure, yet simple method for users to access the necessary resources: As mentioned previously, you have to determine the balance between securing valuable data and allowing authorized users to access the necessary resources. The higher the level of security, the slower the response times users experience. Using group policies to control security policies, and using IPSec and smart cards are options that should be explored. The business model that the organization uses greatly influences the type of security an organization implements. An organization that has world-wide branches would have different security requirements to a business that has a single office. To successfully implement security, you have to know how business processes within the organization work. You have to ensure that security does not prevent business processes from being carried out. As the business grows so too must the security policies and processes be able to cater for this growth. Determine the risk tolerance of the organization. The level of risk tolerance would differ between organizations. Determine whether there are any laws and regulations that the organization has to adhere to. This is especially important when you draw up the security design. The management strategy being used should be included as well. Organizations can use either a centralized management strategy or a decentralized management strategy. The financial stance of the organization would also influence which security design is implemented. Assessing the existing security processes and security policies would typically involve determining what the current security processes and security policies are, and whether these can be improved to meet the security requirements of the organization. You should determine how these business processes flow and how the data associated with these processes flow. You should determine the users that need to access services used in the business processes. Include the management of administrative group membership. You should determine the rights that users require. You should determine whether users need administrative abilities on the network, and if yes, determine who those users are. You should determine the risks that the organization is not prepared to tolerate. Identify the actions which are necessary should the risk become a reality, and then include this in the security plan. You should try to estimate how many users and computers will be needed to provide for future business expansion. Try to determine how the business will be geographically dispersed. How Active Directory sites are defined. How Active Directory domains and organizational units are defined. Before network infrastructure security can be implemented, the organization has to determine what the desired levels of performance which have to be maintained are. For instance, deploying additional authentication methods, and implementing encryption technologies affect performance levels. How remote branches access the corporate network also has an impact on the security plan. Dedicated network links or virtual networking can be used to enable connectivity to the corporate network. Included in your security plan, should be the level of encryption that is required for WAN links. IPSec is a framework of open standards for encrypting TCP/IP traffic within networking environments. IPSec works by encrypting the information contained in IP datagrams through encapsulation to provide data integrity, data confidentiality, data origin authentication, and replay protection. IPSec uses cryptography to provide authentication, data integrity, and data confidentiality services. IPSec uses he Authentication Header (AH) protocol and Encapsulating Security Payload (ESP) protocol to provide data security on client computers, domain servers, corporate workgroups, LANs, WANs and remote offices. The Authentication Header (AH) protocol provides data authentication and integrity, and can be used on its own when data integrity and authentication are important to the organization but confidentiality is not. The AH protocol does not provide for encryption, and therefore cannot provide data confidentiality. The Encapsulating Security Payload (ESP) protocol ensures data confidentiality through encryption, data integrity, data authentication, and other features that support optional anti-replay services. To ensure data confidentiality, a number of encryption algorithms are used. The main difference between the AH protocol and the ESP protocol is that the ESP protocol provides all the security services provided by the AH protocol, together with data confidentiality through encryption. When you install IPSec, the two main IPSec components which are installed are the IPSec Policy Agent and the IPSec driver. The IPSec Policy Agent is a service running on a Windows Server 2003 computer that accesses IPSec policy information. The IPSec Policy Agent accesses the IPSec policy information in the local Windows registry or in Active Directory, and then passes the information to the IPSec driver. The IPSec driver performs a number of operations to enable secure network communications such as initiating IKE communication, creating IPSec packets, encrypting data, and calculating hashes. Anti-replay; prevents an attacker from resending packets in an attempt to gain access to the private network. Kerberos authentication: A downside of using the Kerberos v5 authentication protocol is that the identity of the computer remains unencrypted up to the point that the whole payload is encrypted. Tunnel setting; the tunnel endpoint&apos;s IP address/DNS name. Active Directory domain; Active Directory site; Active Directory organizational unit; Computers; Applications. Client (Respond Only): The Client (Respond Only) default IPSec policy is the least secure predefined policy. Here, the computer assigned the policy never initiates secure data communication. Th computer only responds to IPSec requests from those computers who request it. The Client (Respond Only) predefined IPSec policy contains the default response rule that creates dynamic IPSec filters for inbound and outbound traffic based on the protocol and port which was requested. Secure Server (Request Security): With the Secure Server (Request Security) default IPSec policy, the computer prefers and initiates secure data communication. If the other computer supports IPSec, secure data communication will take place. If the other computer does not support IPSec, the computer will allow unsecured communication with that computer. Secure Server (Require Security): With the Secure Server (Require Security) default IPSec policy only secure data communication is allowed. If the other computer does not support IPSec, the connection is not established. You can create customized IPSec policies that include customized rules and filters that suit specific security requirements of the organization. You can also create your own IPSec policy by using the IP Security Wizard which you can initiate from within the IP Security Policy Management MMC. You need to plan your IPSec implementation and configuration. You should develop a test tab and use the test lab to test the implementation of your IPSec policies. There are a few features of IPSec that are not supported in all versions of the Windows operating systems. Windows Server 2003 does though support all the features of IPSec and it also includes IPSec-specific enhancements. Because preshared keys is considered the least secure supported authentication method, you should only use preshared keys when you cannot use digital certificates or the Kerberos v5 authentication protocol. You should not use the Kerberos v5 authentication protocol for computers that are connected to the Internet. This is primarily because the identity of the computer remains unencrypted up to the point that the whole payload is encrypted. You should use digital certificates as the authentication method for computers that are connected to the Internet. When sending the certificate request, do not however transmit the name of the Certification Authority (CA) together with the request. For computers that are connected to the Internet, only allow secured connections and communication to occur. Ensure that the Allow Unsecured Communication With Non-IPSec Aware Computers option and Accept Unsecured Communication, But Always Respond Using IPSec option is disabled. Denial-of-service (DoS) attacks occur when DNS servers are flooded with recursive queries in an attempt to prevent the DNS server fro servicing legitimate client requests for name resolution. A successful DoS attack can result in the unavailability of DNS services, and in the eventual shut down of the network. Footprinting occurs when an intruder intercepts DNS zone information. When the intruder has this information, the intruder is able to discover the DNS domain names, computer names, and IP addresses that are being used on the network. The intruder can then utilize this information to decide on which computers he/she wants to attacks. IP Spoofing: After an intruder has obtained a valid IP address from a footprinting attack, the intruder can use that IP address to send malicious packets to the network, or access network services. The intruder can also use the valid IP address to modify data. A redirection attack occurs when an intruder is able to make the DNS server forward or redirect name resolution requests to the incorrect servers. In this case, the incorrect servers are under the control of the intruder. A redirection attack is achieved by an intruder corrupting the DNS cache in a DNS server that accepts unsecured dynamic updates. If you are using DNS zone files to store zone data, change the zone file permissions or the folder&apos;s permissions that stores the zone files to only allow Full Control to the System group. You should harden your DNS servers, and place your DNS servers in a DMZ or in a perimeter network. Ensure that access rules and packet filtering is defined on your firewalls to control source and destination addresses and ports. Install the latest service packs on your DNS servers, and remove all unnecessary services from these servers. Eliminate all single points of failure. Host your DNS servers on different subnets and ensure that your DNS servers have different configured routers. Monitor your DNS logs. DNS logging is enabled by default. The DNS service generates DNS logging information that you can use to monitor for attacks on your DNS servers. The Secure Sockets Layer (SSL) protocol was developed by Netscape Communications to secure communication over the Internet. SSL works at the transport layer of Transmission Control Protocol/Internet Protocol (TCP/IP), which makes the protocol independent of the application layer protocol functioning on top of it. SSL is an open standard protocol and is supported by a range of servers and clients. To encrypt Web traffic using Hypertext Transfer Protocol (HTTP). When HTTP is utilized together with SSL, it is known as HTTPS. To authenticate Web servers, and to encrypt communications between Web browsers and Web servers. To encrypt mail and newsgroup traffic. SSL works by combining public key cryptography and secret key encryption to ensure data confidentiality. The Rivest-Shamir-Adleman (RSA) public key algorithm is used to generate the certificates, and the public and private key pairs utilized in SSL. When a client Web browser connects to a Web server that is configured for SSL, a SSL handshake process is initiated with the Web server. The SSL handshake process occurs to negotiate the secret key encryption algorithm which the client and Web server will utilize to encrypt the data which is transmitted in the SSL session. SSL/TLS is easy to deploy. Secure /Multipurpose Internet Mail Extensions (S/MIME) can be used to provide end-to-end security for e-mail traffic. You can implement S/MIME to digitally sign e-mail messages being transmitted, thereby protecting the information from being modified. 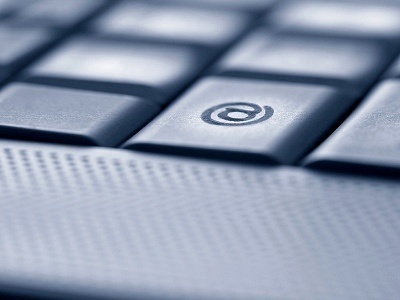 E-mail messages can be encrypted as well. Microsoft Exchange Server 2000 and Exchange Server 2003 support S/MIME. To implement S/MIME, S/MIME requires e-mail application support only. The e-mail servers do not need to support S/MIME. Server Message Block (SMB) signing can be implemented to ensure the validity and integrity of data in transit between a client and a server. Server Message Block (SMB) signing can therefore be used to prevent man-in-the-middle attacks. SMB signing ensures the authenticity of a user and the server on which the data resides. To prevent the modification of SMB packets while in transit, SMB supports the digital signing of SMB packets. The signature is then verified at the recipient computer. To sign SMB packets, a mathematical algorithm is run over specific fields within the packet, to calculate a mathematical result. The recipient runs the same mathematical algorithm and then compares the mathematical result. When the two mathematical results match, it means that the data was not modified while in transit. A failure on either the server end or client end results in data not being transmitted. To protect against the impersonation of clients and servers in high security networking environments that include Windows 2000 based clients and down-level Windows clients, consider implementing SMB signing. A client wants to establish a connection with a server that is defined to require SMB signing. The server responds by sending a challenge to the server. The challenge takes the form of the data that the client will encrypt to the server. The client responds by encrypting the challenge with a 168-bit session key. The session key is calculated from the password of the user. Both the response and the actual algorithm which was utilized to encrypt the challenge are sent to the server. The server utilizes its stored value for the user password to carry out the same algorithm on the challenge, and then compares its results to the results received from the client. 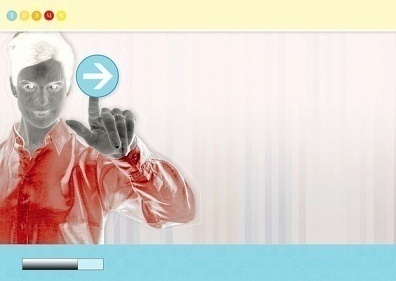 Authentication of the user occurs when there is a match between the mathematical results. The server and client then negotiate the SMBs version which will be used. The version selected is the highest SMBs version supported by both the server and the client. All messages sent between the client and server is protected through the calculation of a digest. The digest is then included with each message. By default, server end SMB signing is only enabled on domain controllers. It is not enabled for member servers. By default, client end SMB signing is enabled on domain controllers, servers, and workstations. The server must be configured to enable and require the utilization of SMB signing. The client computers have to be configured to enable or require SMB signing. The server must be configured to only enable SMB signing. Wireless local area networks (WLANs) make it possible for data to be shared within a local area. Wireless bridges connect devices to the wireless network, and can also connect two wireless networks. Wireless metropolitan area networks (WMANs) make it possible to connect buildings in a city. WMANs use either infrared or radio frequency. The second generation of Wireless wide area networks (WWANs) technology is used by cellular phones at the moment. Global System for Mobile Communications (GSM), Cellular Digital Packet Data (CDPD) and Code Division Multiple Access (CDMA) are enterprises that provide WWAN technologies. Wireless personal ara networks (WPANs) connect personal devices so that data can be shared over an area. The personal devices that WPANs connect are devices such as personal digital assistants (PDAs), laptop computers and cellular phones. WPANs can operate using either infrared or radio frequency. Eavesdropping; data is captured while being transmitted. Denial of service (DoS); the server is flooded with unauthorized requests, making it impossible for the server to service authorized user requests. Spoofing; data is modified so that it looks as though it came from the sender/receiver. Free-loading; network bandwidth is used by an unauthorized individual. 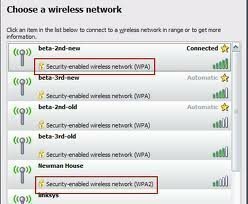 Accidental network access; a user with a wireless connection on a device accidentally accesses the network. Rogue wireless networks; authorized users create an unauthorized wireless LAN, connected to the company network. To secure wireless networks and wireless connections, administrators can require all wireless communications to be authenticated and encrypted. There are a number of wireless security technologies that can be used to protect wireless networks from the different types of attacks that these networks are vulnerable to. With 64-bit encryption the length of the encryption key defines the degree of encryption that is provided to secure transmissions. 128-bit encryption provides greater security than 64-bit encryption. When WEP is configured with the No encryption option, all transmissions are sent in clear text. WEP is easy to implement. You only have to configure the encryption key on the APs and your clients. WEP can provide basic security for WLAN applications. Transmission privacy is ensured through RC4 encryption. This means that the shared secret key has to be used for decryption. 802.1X authentication uses the Extensible Authentication Protocol (EAP) to provide authenticated communication between the client, the wireless access point (WAP), and a Remote Access Dial-In User Server (RADIUS) service. The Extensible Authentication Protocol (EAP) is a internet Engineering Task Force (IETF) standard protocol. To provide a secure authentication process, the EAP protocol regularly produces a new encryption key. This in turn reduces the vulnerabilities of the WEP protocol. EAP-TLS authentication: With EAP-TLS authentication, public key certificates are used to authenticate the RADIUS service, and the client. EAP-TLS authentication is a stronger authentication method than PEAP authentication. To implement EAP-TLS authentication, you need to use a Public Key Infrastructure (PKI). The RADIUS server is authenticated through the examination of its public key certificate. A Transport Layer Security (TLS) session is established between the client and the RADIUS server. An additional EAP method within the PEAP session authenticates the client to the RADIUS service. RADIUS service: The RADIUS service is used mainly to authenticate dial-up users, and can be used to authenticate wireless users when they attempt to connect to the network. One of the main benefits of using the RADIUS service is that user authentication for wireless networks are centralized. When a client transmits a request to establish a connection, the RADIUS service verifies the identity of the client by looking for a match in its authentication database. You can also configure a maximum session time limit which forces clients to regularly re-authenticate to the RADIUS service. During re-authentication, a new shared secret is generated, which makes it more difficult for attackers to decipher the shared secret keys. Determine whether the Wi-Fi Protected Access (WPA) protocol or the Wired Equivalent Privacy (WEP) protocol will be used. If you select to use the WAP protocol, determine whether your hardware needs to be upgraded to support WPA. If you select to use the WEP protocol, determine whether 64-bit or 128-bit encryption will be used. Determine whether 802.1X authentication will be used. Determine whether wireless clients will use IPSec. Determine whether MAC address filtering will be used to limit wireless access based on MAC addresses. Determine whether Group Policy will be used to configure wireless client security settings; or whether it will be manually configured. Determine whether your wireless network security strategy involves monitoring of wireless network activity, and if yes, how and when will you monitor wireless network traffic. A change occurs to the existing organizational structure. There is a change in the existing security policy or strategy of the organization. Microsoft issued a new security update to deal with a security threat. Mergers and takeovers usually mean an expansion or complete modification of existing security plans. One of the challenges you face when designing network infrastructure security is to maintain an already implemented security plan. This is necessary to ensure that your existing security plan remains current, valuable and effective. Regularly reference network security Web sites. Apply all the latest hotfixes and service packs to computers. Reference the Microsoft Web site to check your system for missing security fixes. Regularly update the security plan when modifications are made to the security policy of the organization. Regularly examine the security plan to ensure that it is still based on the security policy. 191 queries in 0.391 seconds.